A Chicken recipe accompanied by a mediterranean inspired salad. Works for every occasion. It is an absolute favourite in our house. 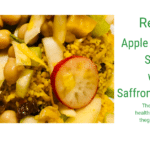 Healthy, light, tasty and easy to make. What more do you want? Stuck for what to do for lunch with friends, or dinner for one? How about this easy to make, healthy chicken that works for kids, and grownups alike. Lightly breadcrumbed Chicken accompanied by a Crunchy Mediterranean inspired Salad topped with Balsamic, Olive Oil Dressing and the very best Parmigiano. Enjoy! 2-3 pickled Chilli - or more if you like it. Coat Chicken Breasts in Bread Crumbs. No need to add egg, flour etc as the natural chicken fat will absorb just enough crumbs to give the Chicken texture and a bit of crisp. Set aside the breaded Chicken until you have assembled the Salad. Chop all the vegetables into bite size pieces, and place on top of Arugula bed. Shave the Cheese into nice slices and place on top of Salad. Mix Balsamic vinegar, Olive Oil, salt and pepper to taste, and sprinkle on top of salad. Shallow Fry the Breadcrumbed Chicken for approx 2-3 minutes each side until golden. Place the Chicken on kitchen roll to allow for excess oil to get absorbed. Add Chicken to your plate and put the chilli on top as seen in picture. 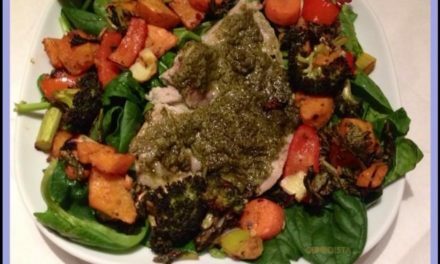 You can vary this recipe, and use Fish or Beef instead of Chicken, or just eat the Salad on its own. The good thing with this Chicken though is that it gives satisfying crispness without adding unnecessary fats. It is a hit every time! Try it! 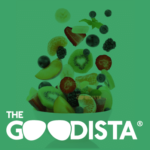 The GOODista has loads more healthy recipes, and posts about clean eating, food, nutrition and all things that make changing lifestyle a bit easier. Subscribe to our newsletter and enjoy the inspiration for lifestyle changes you can do to Feel, Be and Do Good? What a delicious recipe! We will try this tonight! Thank you!